The Hamilton-Niagara Chapter celebrated the holidays on December 5th with a fantastic holiday social. Thank you all who attended, including Board of Director’s Chair, Brian Atkinson. The new Chapter Executive Committee is looking forward to the New Year ahead! 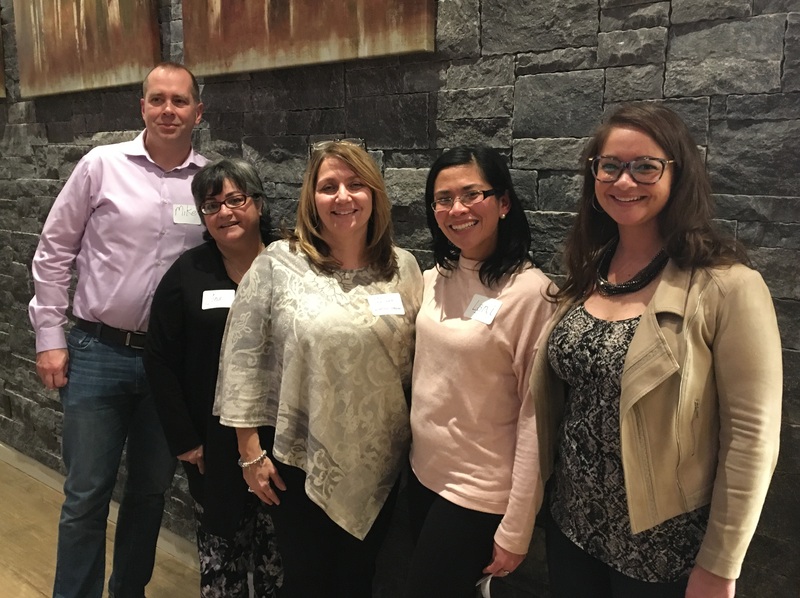 Chapter Executive Committee: (left to right) Michael Habel, Gina Miraglia, Carrie Brunet, Lani Lirio and Stephanie Edward. The rewards are based on a point system. Each new member recruited equals 10 points. For every 50 points, ambassadors receive a credit for $50 to use towards I4PL events, membership/renewals and conference. Ambassadors will be provided with a toolkit that has promotional material and resources. Thank you to all who submitted proposals for I4PL’s 2019 Webinar Series! We are currently reviewing the submissions and will respond to applicants in four business weeks. Webinars are always free for members and $50 +tax for non-members. These events count towards 1 credit hour each for certification maintenance. Please note that there are two steps in the registration process. First, you are required to register on IMIS (The I4PL website) and then the second step is to register on the ZOOM platform. The second step will be sent to you 48 hours before the webinar that will then send a confirmation email with the dial-in instructions. For questions, please contact webinars@performanceandlearning.ca. Is your organization ready for the future of virtual training?